It's my first time to experience Spring season. 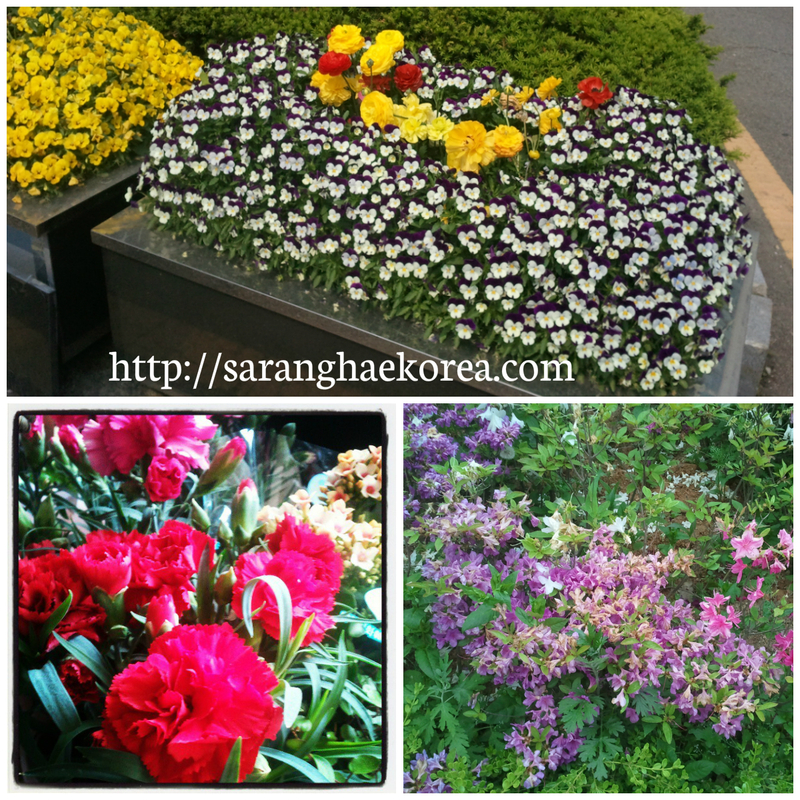 Coming from a country where there are only two seasons, I am excited to experience the famous four seasons of Korea. Spring is a perfect season after winter. Imagine a dull and all white environment magically turn into colorful ambiance. I like spring because it's not too hot like summer and it's not too cold like winter. But what I love about Spring is the flowers. It is during this season when beautiful flowers of Korea start to bloom. You can see all these beautiful creations of God all over. 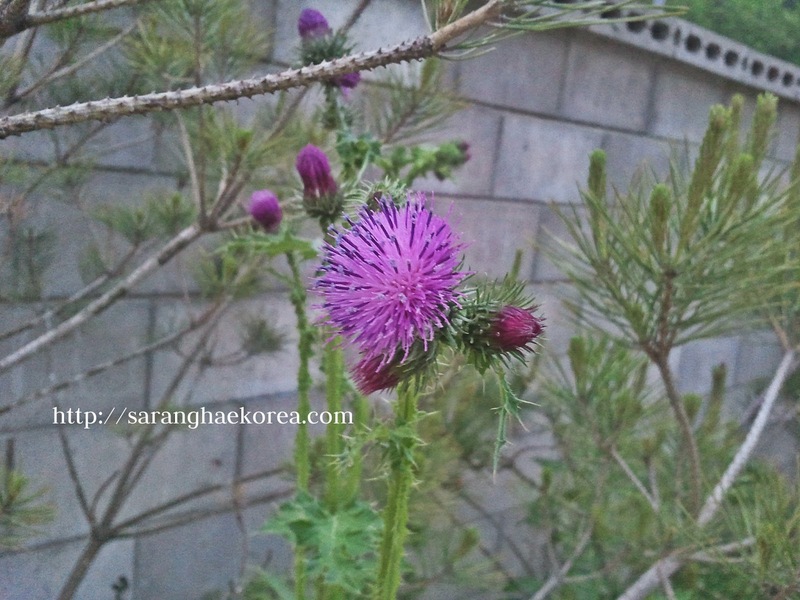 Those mainstream flowers have already captured the eyes and heart of Koreans and foreigners. 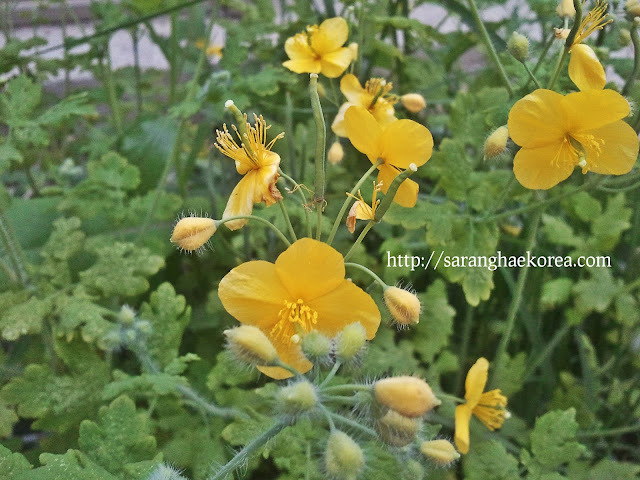 What we don't know is that there are a lot of beautiful wild flowers that grow somewhere. Wild flowers are the one unnoticed, unappreciated and most of all being stepped on without the feeling of guilt. Today, I will give these wild flowers the chance to shine. These wild flowers just sprout anywhere. 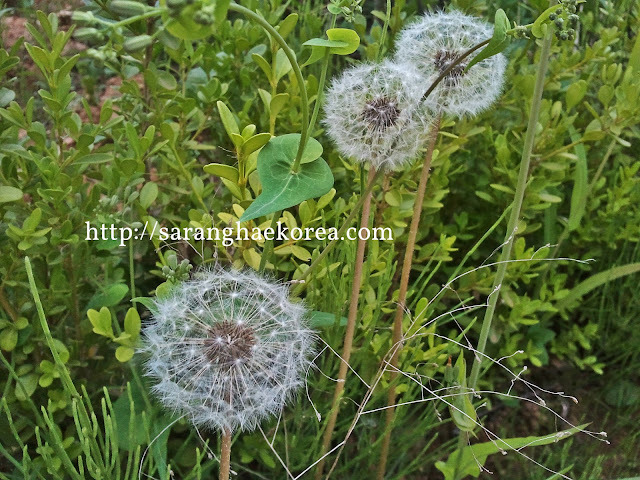 Nobody intentionally planted these species, they just grow by itself and you can find them in the farm, forestry, sidewalks and even in the creeks. I don't even know if they have names but let me introduce them to you using fictional names. This one I saw beside the bus stop while I am waiting for the bus. I call it Bluish Wings because it looks like wings and it's bluish. 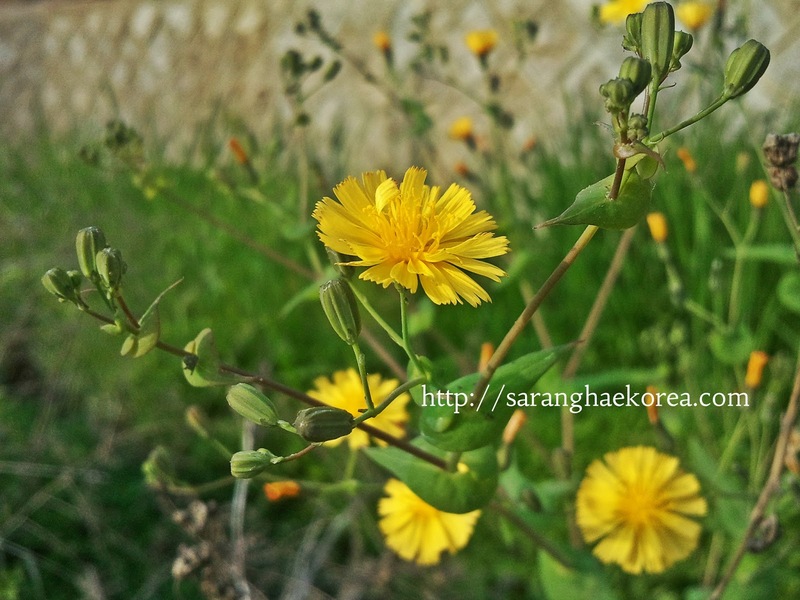 A very very small yellow petals that grow everywhere in the sidewalk of South Korea. They look good together with green meadows. 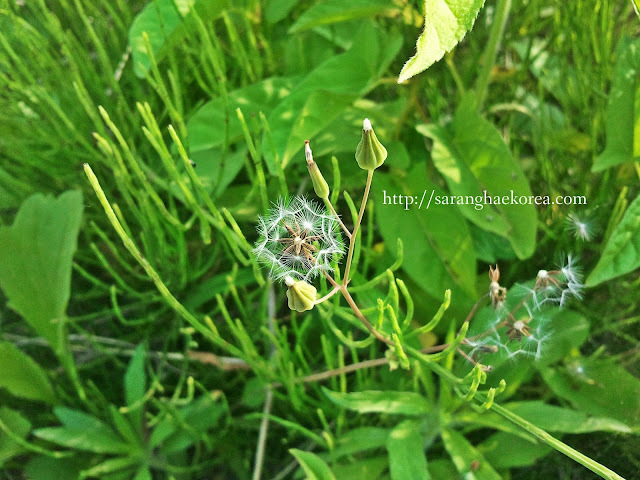 It's like sunflower and it's very small so I call it mini sunflower. Nobody notice this because it's so small. If you will look at it closely, you'll appreciate its beauty. I wonder how it looks like when there are a lot of it growing in the field. This one is my favorite. It's like a heart and it's color purple. 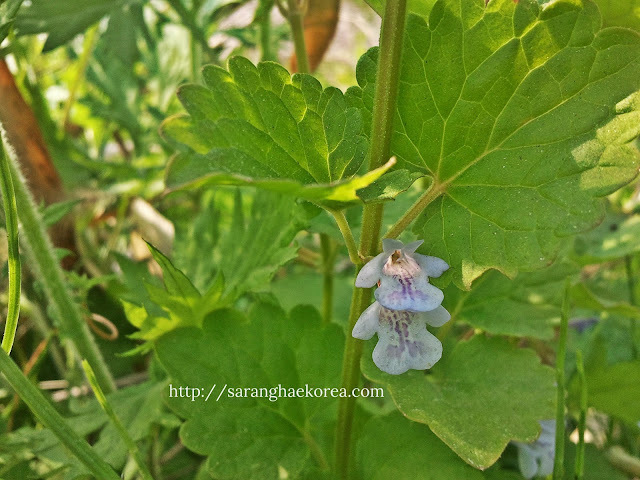 Very light and fragile flower that grows everywhere in the sidewalk of South Korea. If you will blow it, it will scatter all over. 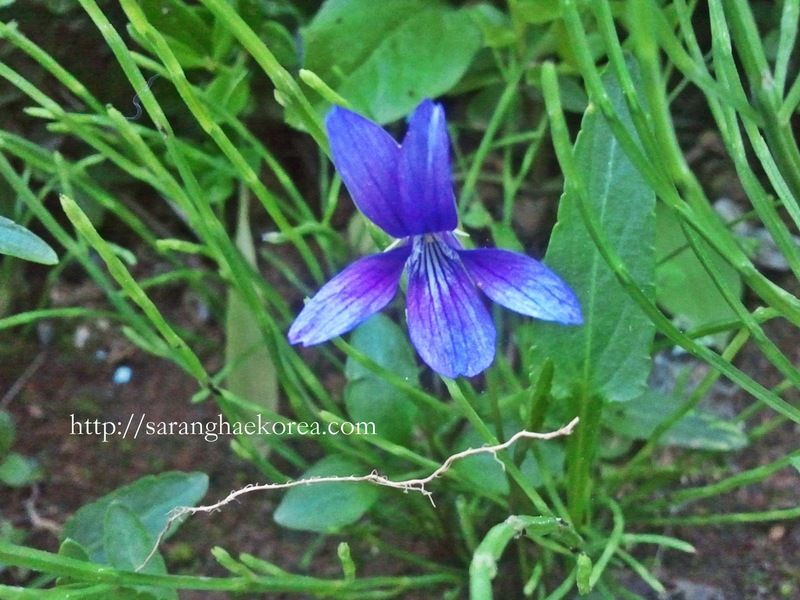 Finally found something blue in one corner of Korea's forestry. It is very small so nobody gets to notice it. This one looks familiar to me. I think I saw this in the Philippines. Hairy cotton ball with purple hue. I like it because it's furry. I know there are a lot of wild flowers in South Korea left undiscovered. I have high regards with them all because they do not rely to a caretaker to grow and bloom beautifully. I hope we will also like wild flowers, we grow and bloom to reflect the beauty of God's creation and we remain strong and beautiful despite being stepped on and neglected. This rare, fall blooming farinaceous plant is additional ordinarily known as the Saffron Bulb or Saffron Crocus! 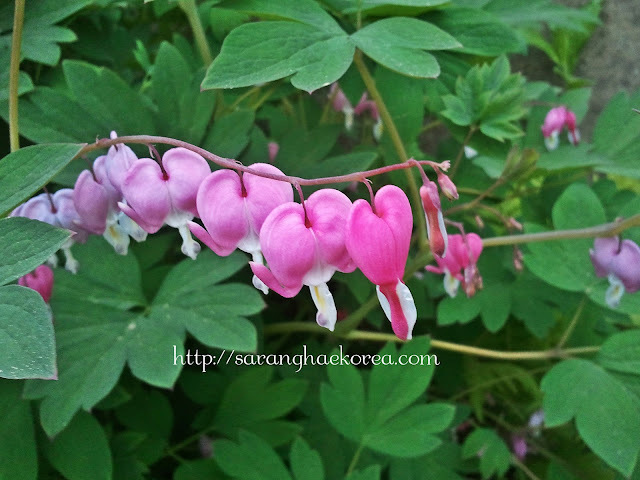 It begins blooming in Gregorian calendar month and continues through October! The purple flowers have deep purple veining! It's orange-red stigmas square measure the supply of saffron, the worlds costliest spice! Plant fully sun or partial shade and well-drained soil. It grows 3-5in. tall. Hardy in Zones 5-9. In cooler regions the saffron may be full-grown in containers. you'll be able to harvest the saffron once the flowers square measure blooming. Hit's is one amongst the few corporations that supply this rare bulb to the agriculture public.